A mill in Miramichi officially reopened on Friday after being closed for almost six years. The mill is expected to reach full operation by the spring of 2013, officials have said. Jeff MacTavish, director of economic development for the City of Miramichi, told CBC News 110 mill workers are already back on the job, along with another estimated 200 people in the northern community. "There is now contractors in the woods, harvesting wood that were not there before. There are trucks on the road, delivering wood to the facility. And there are about 10 people right on site that work for a private company that are doing the actual wood handling into the loaders that feed the mill," he said. Arbec Forest Products Inc., of Quebec, purchased the mill, formerly owned by Weyerhaeuser, in January for $31 million. The provincial and federal governments provided more than $17 million to Arbec to refurbish the facility and get it back up and running. 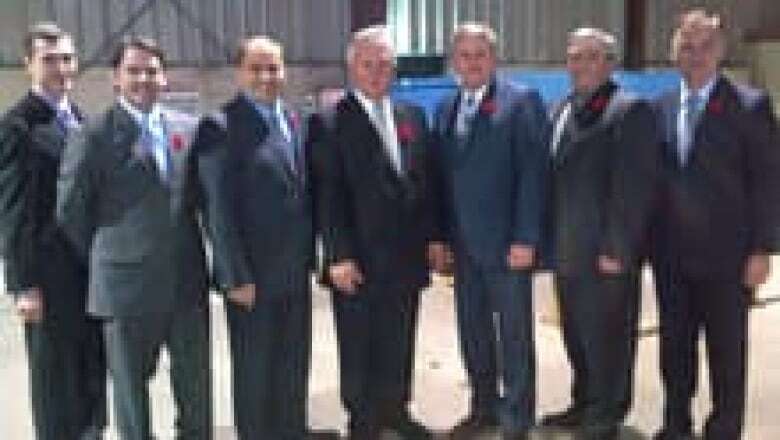 Premier David Alward and Miramichi MP Tilly O'Neill Gordon attended the official reopening, along with Dary Laflamme, the president and chief executive officer of Arbec. "Our plan to rebuild New Brunswick focuses on creating jobs and economic opportunities in the Miramichi region," the premier said in a statement. "Arbec Forest Products Inc. is an important partner in re-energizing the economy of the Miramichi and bringing our workers home to their families," he said. "Celebrating the re-opening of this mill represents in many ways the potential of this region and brings exciting news for forest industry workers and suppliers from the Miramichi region, indeed for all New Brunswick," agreed O'Neill Gordon. 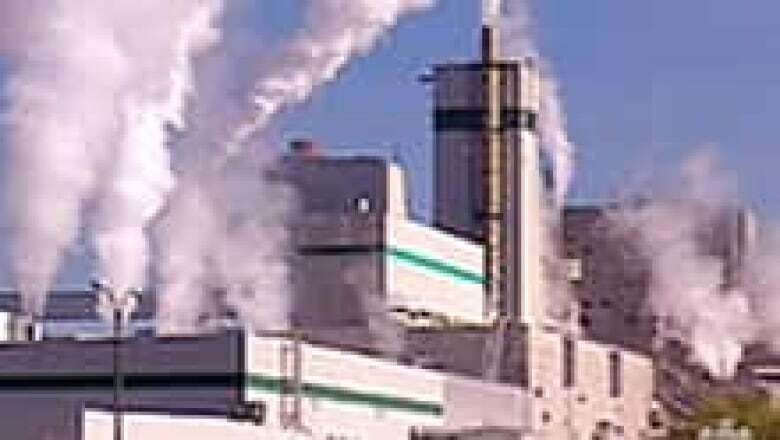 Weyerhaeuser shut down mill operations in February 2007, putting 150 mill workers out of work. About half of them are back on the job, said MacTavish. Weyerhaeuser officials had blamed the closure on a decreased demand for its product — oriented strand board. The mill sent almost all of its products to the United States, but with the languishing housing market, there was less call for building materials. Arbec will still produce oriented strand board for home construction, but plans to send about 30 per cent of the product overseas. The mill is expected to make about $60 million a year, create jobs at the mill, in the wood yards and in harvesting and wood delivery operations. The provincial government's contributions include a $7-million loan guarantee, a $5.6-million term loan, a $1.5-million payroll rebate, and a $1.2-million contribution for capital expenditures and startup costs. In addition, under the Crown wood allocation agreement, Arbec will be able to harvest about 277,000 cubic metres of mixed hardwood pulpwood and softwood pulpwood. If more Crown land becomes available, the mill will be given priority, but at least half of the mill's wood supply will come from private lots, Natural Resources Minister Bruce Northrup has said.